My current interests have been spanning the extremes of the olfactive spectrum. The freshness of the “faux de colognes” – the name I’ve given to scents that can act as colognes, but are not exclusively citrus-themed. And the new animalic notes: honey, which has been seeping into more and more compositions. Oud accords, set to become an alternative to both patchouli and the more pungent styles of leather (rather than the currently popular iris-suede notes). And an outsider I’m betting on: cocoa absolute, which smells quite a lot like castoreum. I must be having an oud backlash backlash. Or maybe it’s a case of mithridatism – a strategy used by the Persian King Mithridates to make himself immune to poison by ingesting non-lethal doses. Or then again, it might be that Western perfumers are increasingly adept at translating the note into their vocabulary. At any rate, I’ve fallen in love with the two fall additions to Tom Ford’s Oud Collection, Oud Fleur by Yann Vasnier and Tobacco Oud by his Givaudan colleague Olivier Gillotin. Again, I’ll be getting back to them shortly. Deep and intense as a liqueur, nearly oily in its richness, Tonka matches the almond-and-liquorish notes of the titular bean with honey. A simple scent, just on the right side of gourmand, with an earth-mama sexiness that’ll amble easily into fall: I’ll be getting back to it soon. 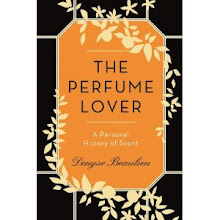 The boozy spicy immortelle that anchors amber and dried fruit notes of Immortal Beloved brings to mind Sylvie Jourdet’s 1740 Marquis de Sade for Histoires de Parfums, though the latter is more of a leather and the former, more of a heated-skin scent in the drydown. I’ve only got a few drops of this rarity. This limited edition (300 bottles) is probably the first literally vintage perfume to be commercialized. The blend is made up with an oil of Eau de Gloire – Marc-Antoine Corticchiato’s tribute to the smells of his native Corsica – that was forgotten for 10 years in a vat. Miraculously, it had aged like a fine liqueur, all the resins and aromatic essences blending smoothly to bring out the dark, leather, incense and tobacco facets of the composition. (Exclusively available at www.eaudegloire.fr as of October). My love affair with Hermès Eau de Narcisse Bleu kicked off a tea jag this summer – its bitter tannic facets are an interesting alternative to citrus for freshness. So I dug out my bottle of Duel. Built around the raspy green mossiness of maté, the scent brings out the subtext of tea: violet and hay, which segues into tobacco. Alternatively, this could be interpreted as a cologne take on the classic iris leather accord. In this respect, the name conjures not a duel but a duet. I’d initially dismissed (Untitled) as somewhat unworthy of Martin Margiela’s avant-garde credentials. After stumbling on a forgotten decant, I’ve warmed to its charms. In it, Daniela Andrier has aligned a series of olfactive archetypes: cut grass, linked to incense through the resinous aspects of galbanum. A rounded, milky, raw wheat grain effect that must come from lentisque, petitgrain and musk. A bone-dry cedar that leads the structure back to incense. Sadly, I find (Untitled) extremely fleeting, which is why I use it more as a cologne. Created in 1969 by Nicolas Mamounas and initially called Eau de Roche (a name it gave up after Roche Pharmaceuticals objected), Eau de Rochas does bring to mind its original namesake’s purity, with that slight metallic tinge I so love in my Volvic spring water, and a mossy fond that turns it into a chypre (though rumors have it that oak moss might be struck from the list of permitted ingredients at Procter & Gamble). Throughout the short-lasting heat wave last July in Paris – shutters closed and drapes pulled at 8 a.m. to preserve the slight night-air coolness – a 500 ml bottle of this classic live in my refrigerator. First thing in the morning, I’d slap some to rub on my temples, neck and arms – there’s something slightly decadent about using scent so lavishly, and since then, the tumbling-out-of-bed cologne friction has become a daily ritual. You’ll find more seasonal Top Tens at Bois de Jasmin, Now Smell This and Perfume Posse. 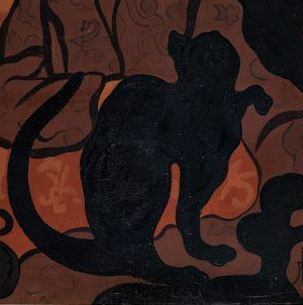 Illustration: Detail from La Sorcière au chat by Paul-Élie Ranson (1893) at the Musée d’Orsay. Lots to smell. Have not tried any of these. Thank you for the update. Love the new Tom Fords too! Thanks for letting me share a sniff! You have the most intriguing choices, Denyse! Jordan, well, a couple of them have been out for a while, but the rest are either not out or too new to have made it to your part of the world... 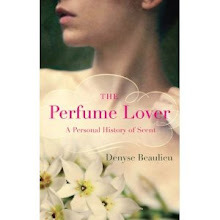 Being a perfume editor is like being a fashion editor, you're never in phase with retail! Tara, I was pretty sure they'd be up your alley!